The Magnet Wire Network company now provides an expanded product offering and improved functionality to place quotes online with fast results! 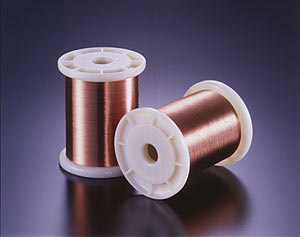 Magnet wire or enamelled copper wire is a copper or aluminum wire covered with thin insulation. It is used in the construction of transformers, inductors, motors, headphones, loudspeakers, hard drive head positioners, potentiometers, and electromagnets, among other applications. The Magnet Wire Network provides top quality products along with top rated service for all your magnetic wire needs.